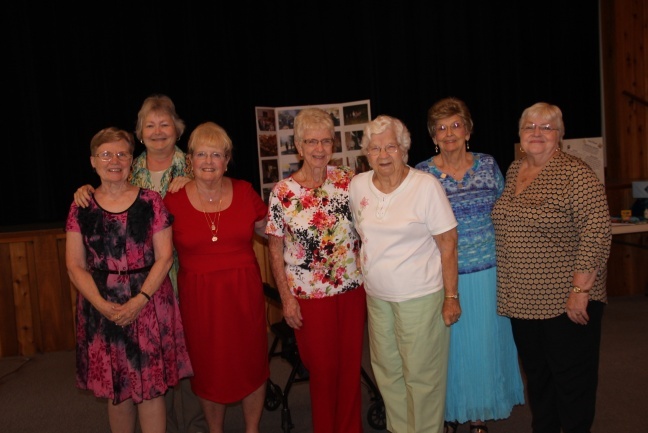 Disciples Women’s Fellowship at First Christian Church is part of an international organization of Disciples Women’s Ministries of the Christian Church (Disciples of Christ). Here at FCC, Ocala, we also include men in our fellowship. Our purpose is to provide opportunities for the spiritual growth, enrichment, education and creative ministries to enable everyone to develop a sense of personal responsibility for the whole mission of the church of Jesus Christ. DWF (Disciples Women’s Fellowship) participates in Church Women United, a mission based women’s organization. Through this affiliation, we work ecumenically to become one in the spirit of unbroken fellowship and devotion to one Lord. Together we share in an offering of the “least coin”. 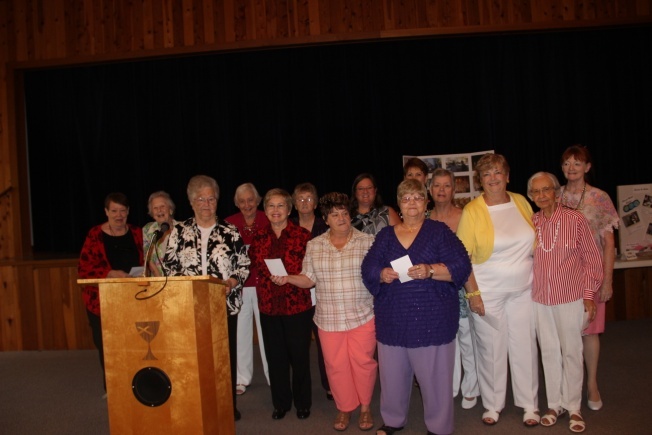 In gratitude for the blessings of life, church women developed the Blessing Box, an over-and-above offering given out of gratitude for blessings. It is a gift to the whole mission of the church. Children, youth, men and women often share together in these many gifts of remembrance and thanksgiving. 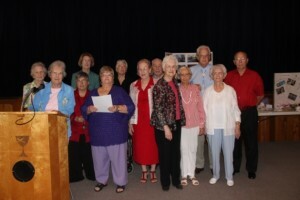 Group offerings, through Disciples Mission Fund, help support the work of the General Office of the Christian Church, 35 regions, 9 seminaries and foundation houses, 17 colleges and universities, unity concerns, overseas ministries, homeland ministries, social and health services, stewardship and finances of the church, ministerial relief, communication, archives and so much more. 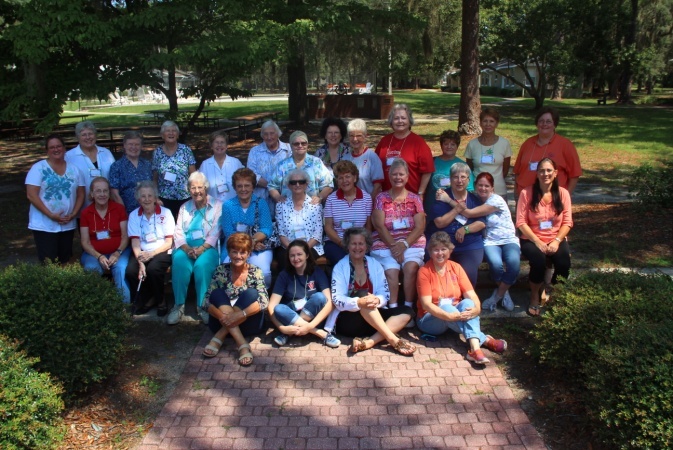 There are 4 very active groups for women at First Christian Church. 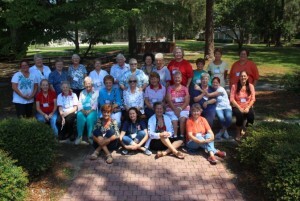 Although Disciples Women’s Fellowship was designed for women, men are most welcome and some groups have men attend as regular members. All groups are service oriented with fellowship being the most important factor. Each group is different and as unique as the members of the group. Since all groups do not meet at the same time, some members belong to more than one group because they can’t decide on just one. All groups study the Bible using the study guide from Just Women Magazine, the material endorsed by our national Disciples Women’s Ministries. All groups are involved in many service projects. Listed below are the names and meeting times of each group with a little information about that group. We invite anyone and everyone to visit each group and decide which one it the right one for your needs and interests. Much of the work of the church happens through and by the members of these arms of the church. Please join us and join in the fun and fellowship of DWF. Phoebe Circle has a motto of helping those who are less fortunate. Whether it is those from Interfaith or the children in the forest, they are there to help out. In the past they have supplied items to women from Interfaith with such items as soap, towels and other necessities that we may take for granted. At Christmas time they usually adopt a family to add joy during this special season. Sometimes it is even a family from our church that they help to provide a few things they would otherwise not receive. 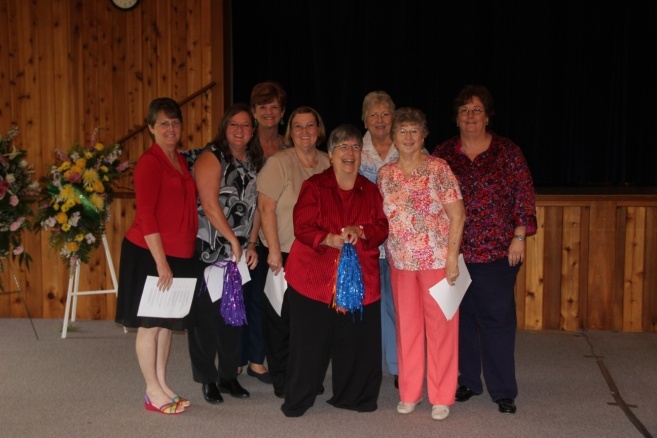 The Phoebe Circle meets the first Monday of the month at 1:00 PM in Fellowship Hall at the church. Galatians Circle uses the study guide from Just Women Magazine. In other studies they have studied Women of the Bible, Men of the Bible and a special program at Christmas time. One special tradition is to eat out after their meeting in December. Even at regular meetings, they bring a lunch and share a meal after meetings. There are several unique things about Galatians. Men are included in their membership. The Little Blue Pig originated in Galatians. They started the Box Tops for Education, support Wounded Warriors and meet all year long, taking no break for summer like the other groups. 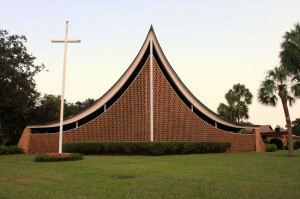 Galatians meets the 2nd Monday at 10:30 AM in Fellowship Hall at the church. Miriam Circle is presently using the Bible Study from Just Women. They have looked at many of the supernatural biblical experiences such as Paul’s Damascus experience and the experience of those in the Upper Room in Acts. They have attempted to share their own experiences as well as those from history such as Cane Ridge. Miriam meets the 2nd Thursday at 10:00 AM in Fellowship Hall at the church. 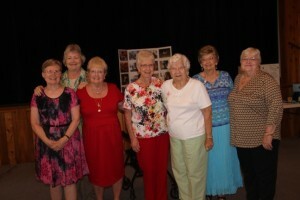 Lydia Circle is often identified as the group for “working women”. 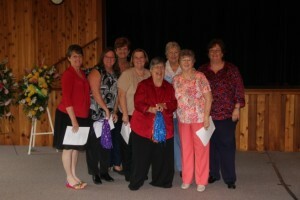 Their Bible Study from Just Women is prepared and presented by different members of the group during the year. Lydia enjoys just being together in fellowship with good friends. Occasionally going out to eat is one of their favorite things. Lydia meets on different days each month. Check your bulletin and e-Life for date and time. Click here to read the latest DWF newsletter!